800m2 Block! Big Shed & Family Living! We are excited to present 5 Brigalow Court, Murrumba Downs to the market! This large home offers plenty of room for all the family! Offering 4 bedrooms, with full en-suite and walk-in robe to the main bedroom. 2 ample sized living areas, dining and well appointed kitchen, with servery to the huge, fully covered outdoor entertaining area. Timber stacker doors from the second living lead you out to the back yard, where there’s plenty of room to add a pool, as well as for the kids to run around. It’s also where you’ll find the large 6m x 3.8m powered shed! Quiet cul de sac location, close proximity to schools and public transport, all on a 800sqm block!! A comprehensive list of special features, inclusions and details, photos, videos and information for this property can be found online at 5brigalowcourt.com! 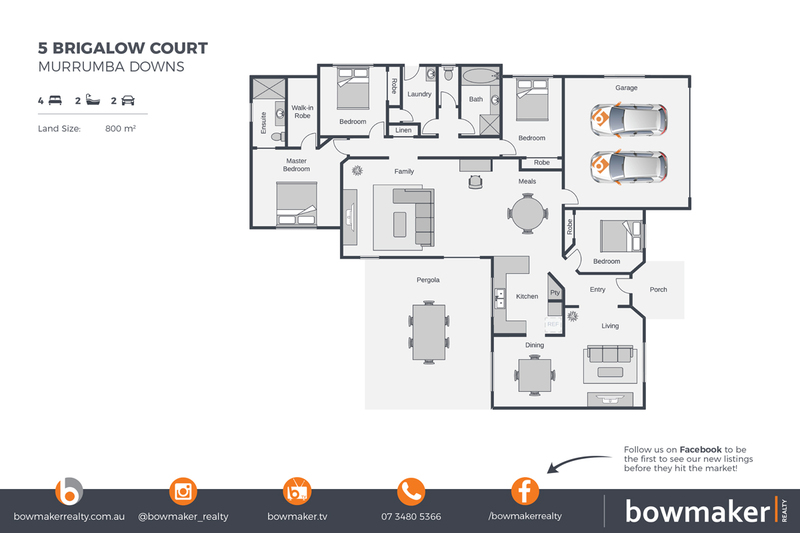 To arrange an inspection, contact George Patsavouras from Bowmaker, North Lakes leading property marketing agency, today on 0408 828 484!